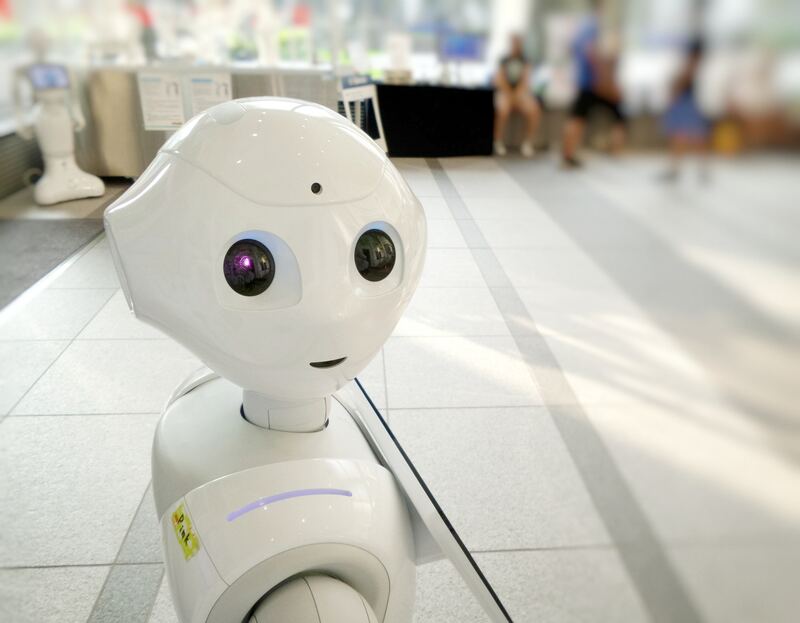 Nowadays, artificial intelligence (AI) and Machine Learning are used to provide advanced experiences with apps, GPS devices, smart TVs, computer devices, etc. Every major player in the technology field is investing a hefty amount while researching this area of computer science. The rise of “thinking” machines has currently become a hot topic for the media, as well. There are numerous WordPress plugins out there which are using artificial intelligence and Machine Learning. Get ready to read about some of them. AI simulates human intelligence and applies to machines that work and react in ways characteristic to people. Artificial intelligence reduces individuals’ effort in various tasks. On the other hand, Machine Learning is an application that aids the AI system to get into a mode of self-learning without being explicitly programmed. In short, it lets machines adapt new data from their experiences. Many big companies have already found their way into the AI land. Did you know that WordPress is one of them? Sometimes, companies don’t have the time to create their own content. This is where MyCurator comes into play. It aggregates content appropriate to your selected field using AI. Also, this tool can improve the results relevant to your activities using Machine Learning. You can use MyCurator to curate content on your web page by fetching the content that your audience demands. Add any content you feel relevant to your website with an excerpt and backlinks to the original sources. This plugin uses the IBM Watson cognition method. It analyses any emotional impact of your content, thereby offering the information on how you can improve and increase user engagement. 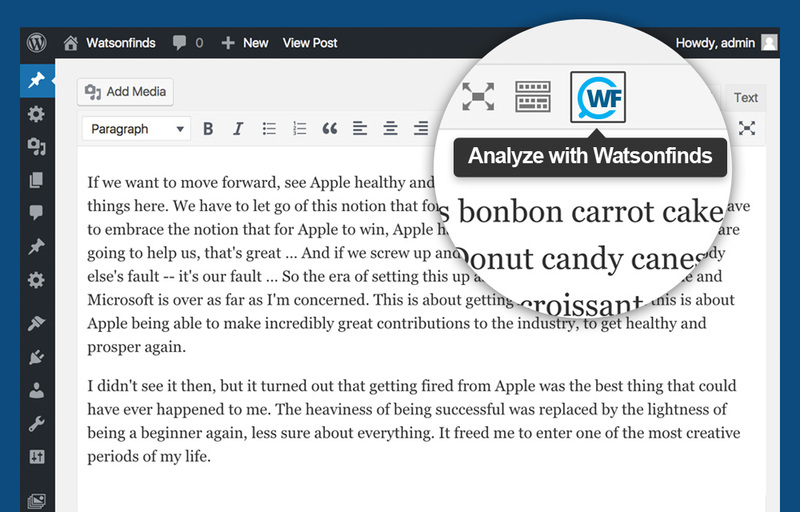 After installing the plugin, the WatsonFinds icon appears on your WordPress page. There you can see your content’s sentiment score. This tool gives you insights on how your audience feels about your content, based on the context of your data. WordLift interlinks users’ web-based services to their WordPress page. It helps to understand the kind of information people are looking for and, also, gives you SEO suggestions to improve your content’s reach. WordLift offers content creators relevant images, facts and figures, links, and much more, to help them make the content more engaging. In addition to that, it shows content recommendations to readers, to keep them on the page for a longer period. This plugin comes pre-installed on every WordPress website. It protects millions of websites from spam. It also detects and removes spam comments from your content. It’s very frustrating when your comment section is filled with adverts for unknown products that you don’t want to endorse, right? If this is your struggle at the moment, you should give Akismet a try. This tool will help you upgrade the user’s experience. It showcases different related content from your WordPress site. Recomendo provides recommendations to visitors based on different data collected from their past views and search patterns. Moreover, it requires no setup. You just need to install the plugin, drag the widget into your WordPress theme and let it do its job. The technologies of image recognition, translation, voice recognition, and search patterns have played a crucial role in the advent of the artificial intelligence and Machine Learning in the world of WordPress. And right now is the moment to start benefiting from them. Also, don’t forget to take all the necessary precautions to secure your WordPress plugin in the best possible way. Lyuthar Jacobs is working as a blog editor at Dealslands.co.uk. He is the type of geek who loves to write about Marketing, Technology, Lifestyle, Money Saving, and Finance. In the above post he is sharing things about the WordPress plugins that use AI and Machine Learning.